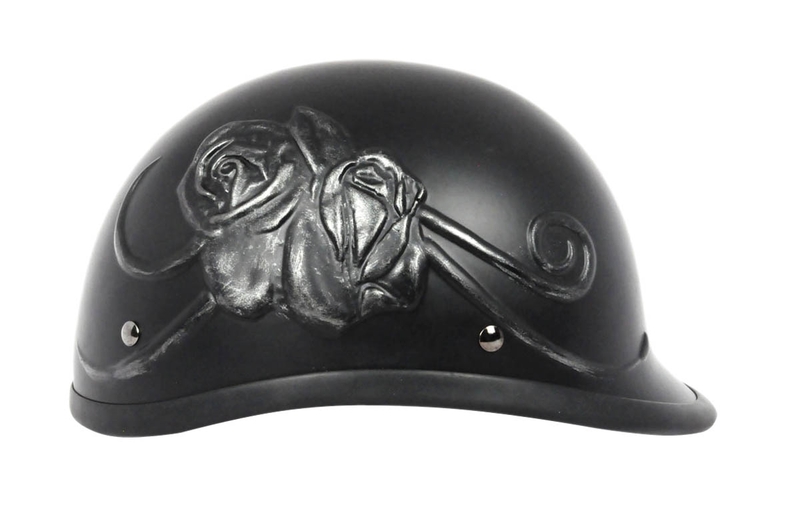 Two different relief sculptured tattoo style roses are on each side of the helmet, both with a pewter tribal look. This great-looking helmet is not only stylish, it's also unbelievably comfortable! 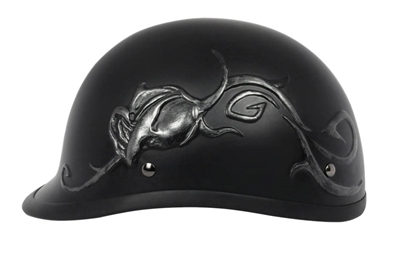 The interior EPS liner is "thinner than a dime" and the helmet sits down low and sleek. No Mushroom Head here! Silky smooth straps and a smooth Lycra® liner feel great to the touch, keep your head cool, and there's no chafing. With realistic texture and intricate detail, you'll be getting many compliments. 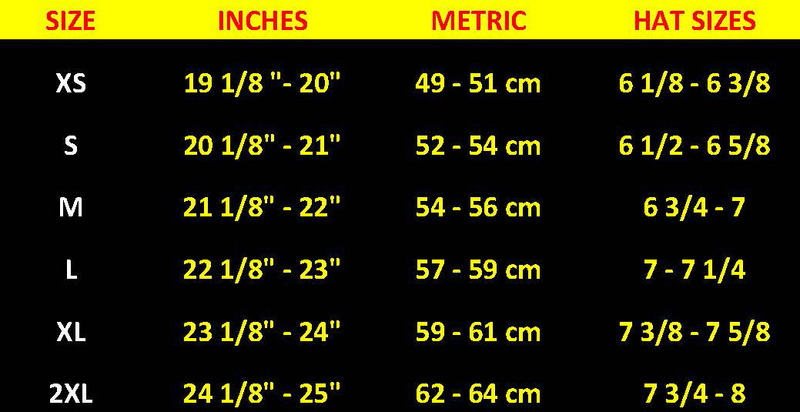 Fast Shipping!!! Hard to find - great product!! !